Home » Amazon: Kinetic Sand Sandcastle Set 1-Lb Sand, Molds, & Tools – GREAT Price! 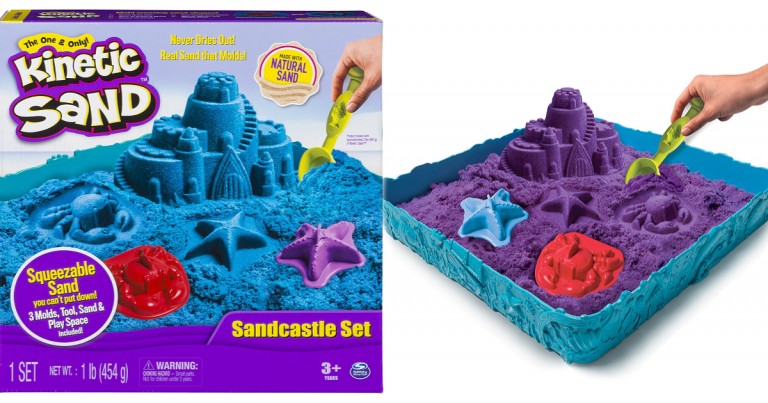 Amazon: Kinetic Sand Sandcastle Set 1-Lb Sand, Molds, & Tools – GREAT Price! Kinetic Sand Sandcastle Set 1-Lb Sand, Molds, & Tools – GREAT Price! Kinetic Sand is squeezable sand you can mold with your hands. Use the included molds and tool to create amazing sand castles and fun beach-themed shapes. Kinetic Sand is made from 100% natural sand, never dries out, and easily cleans up.